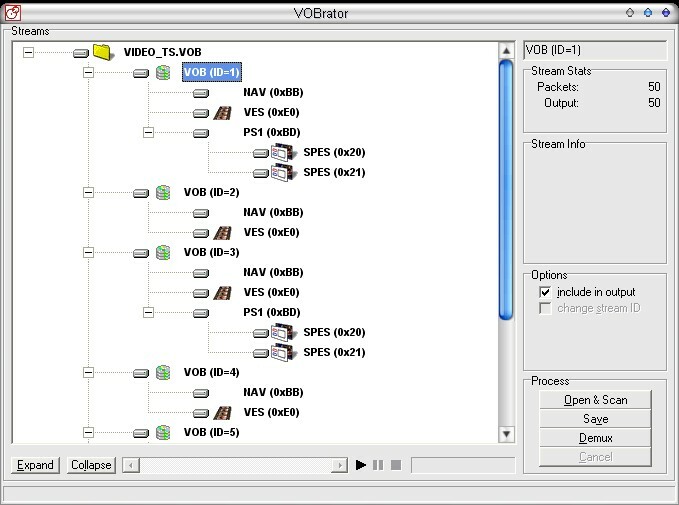 Load VOBrator and the open the VIDEO_TS.VOB. We need to figure out exactly what each of the VOBs do. T he VOB (ID=X) does. The only way to do so is by selecting each on in order and playing it. As shown above, click on the first one and hit the play button. See what happens and either remember it, or write it down. To remove those annonying screens, load VIDEO_TS.IFO with IfoEdit, and in scroll down the VMG_Overview to the 'Menu language Unit' section. So we wish to remove "Menu 2" and "Menu 4." Doing so will remove the associated annonyances. Simply select the line w/ the disired menu (as shown above) and hit the "Delete Playback" button. Do so for both and it should look like the below screenshot.